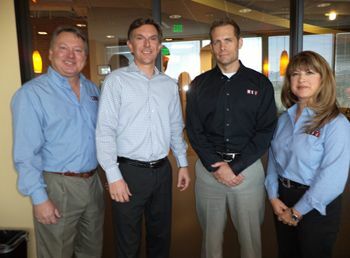 MSI has been serving Homeowners Associations on the Colorado Front Range since October 1982. The company was founded by Bill and Diane Biesendorfer, who retired from day-to-day company operations in 2001, and eventually sold their interest to the remaining partners in 2006, forming MSI, LLC. The MSI ownership was first expanded in 1992 to include CFO Patricia Fackler, who joined the company in 1986. The CEO, Todd Fackler, joined the company in 1996 and became an owner in 1998. The ownership was further expanded in 2003 to include Vice President of Community Development, John Field, who joined the company in 1992, and Vice President of Community Management, Garon Duncan, who joined the company in 1996. The consistency of ownership over the years has assured this company stays on a constant course of providing professional management. Over our 30 years we have become the market leader among the Front Range as the premier provider of Association management services, while we have continued to maintain the personal approach of a small company. We have an open door communication policy from the owners down, and are always available to advise and counsel Boards from our extensive experience. MSI brings value and an ethical and responsible approach to Association management, and we bring those high standards and honesty to every community we serve.